Well-intentioned condo owners may fall behind in paying condo fees or special assessments and ask for additional time to make payment. Condo boards have authority to arrange repayment plans. They can help increase condo revenue when including interest payment on outstanding amounts and late payment fees. Repayment plans can also help avoid legal and collection costs for the condo corporation. Should a condo owner fail to live up to their repayment commitment, repayment plans can be a way to delay or forfeit legal action by the condo corporation against an individual whose home is at risk of foreclosure. When repayment plans are allowed, all owners requesting one should be offered the same arrangement. Repayment plans should be clearly explained to avoid any inference of discrimination or unequal treatment. Once a repayment plan has been offered to a condo owner, the condominium manager and board should be strict in adhering to the terms. It can be difficult to refuse a repayment plan to someone who has lost their job. Unfortunately, someone short $500 one month will have more difficulty repaying $1,500 in three months. The Condo Act protects condo owners from having to pay fees for other owners. 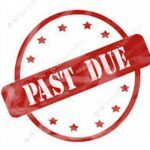 Should balances go unpaid and the condo corporation be unable to collect, a condominium manager or condo director approving the repayment plan could be required to repay money lost to the condo corporation.